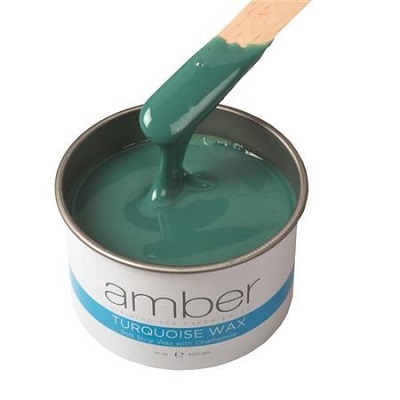 Amber Brand Turquoise Wax With Blue Chamomile and Azulene. The Convenience of a Soft Resin Wax with Benefits of a Hard Wax. 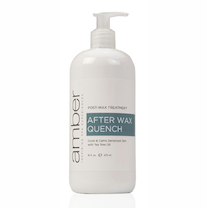 This “designer wax” is formulated with an extra light texture that allows even the most fragile skinned clients to have depilatory services without irritation. 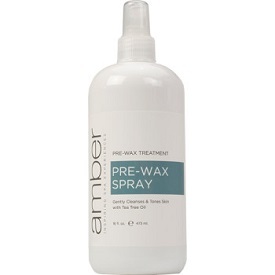 Spreads quickly like a strip wax with all the benefits of a hard wax. Must be removed with Pellon or Muslin.